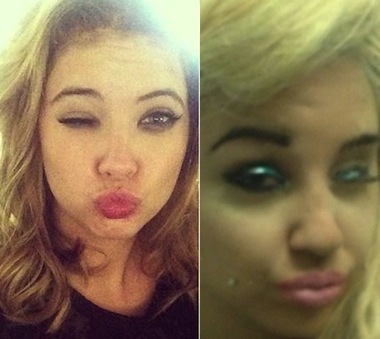 Amanda Bynes and Ashley Benson have almost nothing in common besides, oh, being blonde, having the same initials and starting out on family-friendly TV shows, but that didn’t stop Ashley (of Pretty Little Liars and Spring Breakers) from imitating Amanda on Instagram. “Doing my Amanda Bynes look this afternoon,” Benson wrote under a photo of her in the full plastic pirate duck face Bynes so frequently makes on Twitter and Vine. A bunch of people were like *GASP*, don’t make fun of crazy people! (Amanda is STILL in the psych ward for accidentally lighting her pants on fire in a stranger’s yard).